North Raleigh Tree Service is proud to offer residential and commercial tree services including tree removal to the beautiful Lake Gaston community. 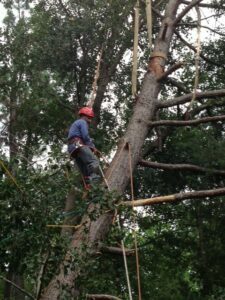 Whether you need us to remove a single tree that is blocking your view or clear an entire lot, our tree removal services will have you covered. We can also trim branches away from your home to create a better view while leaving trees in tact. We are excited to be a part of the Lake Gaston community and are honored to help maintain its natural beauty. We are licensed and insured for both liability and workers’ compensation so you can rest assured that your home, business and finances will be covered. Contact us today for a free estimate of your tree service needs in Lake Gaston or call us at (919) 808-2467.